“The World’s 50 Best Restaurants” ceremony, considered the Oscars of the dining industry, has recognized René Redzepi’s restaurant, Noma, as the world’s No.1. For years, Ferran Adria’s El Bulli, in Girona, northeast Spain, was considered the best restaurant in the world according to experts and foodies. Since El Bulli closed, a power vacuum opened up in the world in high-end gastronomy. The competition now is very tough but Spain is still in the top rankings. 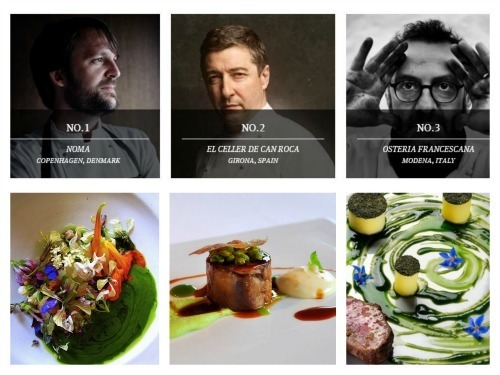 Seven Spanish restaurants made the list this 2014, three of them ranked in the top 10. 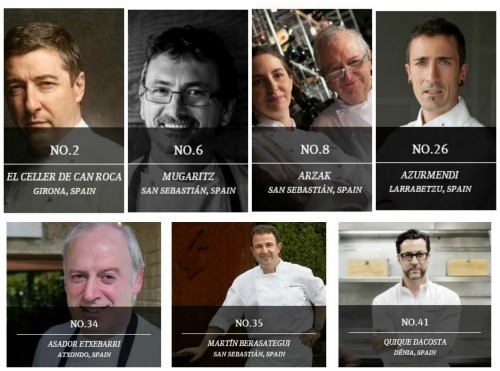 Last year No.1, El Cellar de Can Roca, is the No.2 this year. Mugaritz was announced as No. 6 and Arzak No. 8, both located at San Sebastian, Spain. Barcelona and its surrounding areas have also become an important destination for foodies in recent years and this has just begun. As their website claims, their 50 Best Restaurant list is “recognized around the world as a credible indicator of the best places to eat on earth”. So now you know! Seven of the world’s gourmet wonders are located within Spain. One of them, just 1.5 hours from Barcelona’s city center. Another good reason to visit and stay with us.